By Miriam Rasch, April 20, 2015 at 8:47 am . 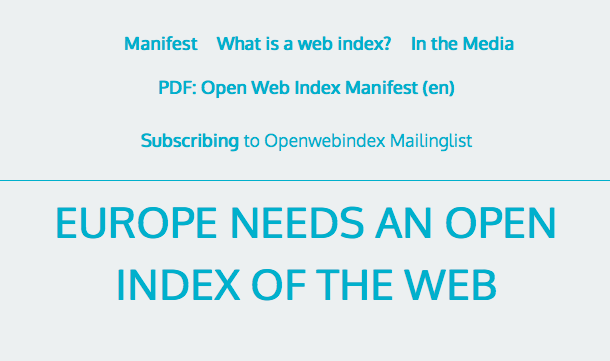 Read, share and sign the manifest for an open web index here! 1. One search engine is not enough!